Spider veins are small, thin capillaries that lie close to the surface of the skin. They are connected to a larger venous system, though they are not an essential part of it since they do not actually carry blood to the heart. At Castleknock Cosmetic Clinic Dublin we’d like to assure our patients that spider veins and thread veins don’t usually indicate a major medical problem, most people would be happy to be rid of them. Unfortunately, spider and thread veins won’t disappear on their own, but advanced treatment is available to easily and safely remove them. Spider veins form when excess blood backs up in the blood stream. The excess blood creates pressure. The body releases the pressure by creating new veins on the skin’s surface. The primary problem with spider veins is their unsightly appearance, but they can also cause aching, swelling, burning. In ireland, we at Castleknock Cosmetic Clinic Dublin see people within certain ethic groups to be often more prone to spider veins, so heredity certainly plays a role. So can hormone therapy and oral contraceptives. Aging related to sun damage is also a big contributor. Ultraviolet light exposure is one of the more controllable factors in preventing facial veins, so avoiding the sun and using sunscreen is recommended. 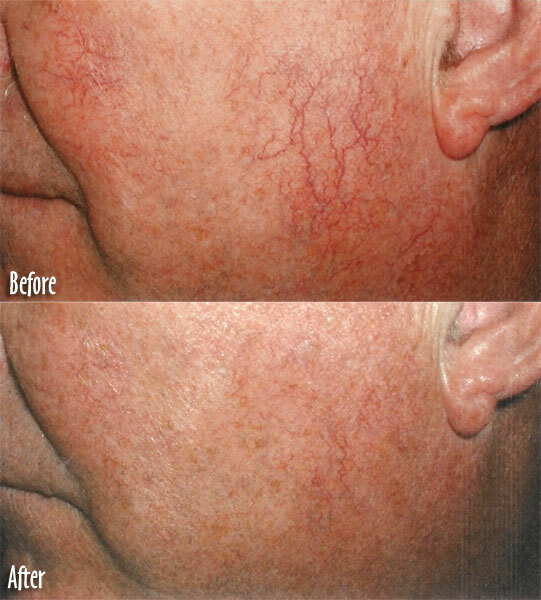 Facial veins and flushed skin are also commonly seen with rosacea, a chronic but treatable skin condition. Laser therapy continues to advance in the treatment of undesired veins and telangiectasias. Shorter wavelengths like the 585-nm laser have been more effective for more superficial, red telangiectasias; whereas, longer wavelengths like the diode 808-nm and the 1064 -nm Nd-Yag lasers have been more successful for treating deeper blue thread veins and reticular veins up to 4 mm in diameter. Because lower extremity telangiectasias can be resistant to vascular-specific laser beams, sclerotherapy is the initial treatment of choice for most of our patients. A combination approach using sclerotherapy to treat the feeding reticular veins and laser radiation to target the superficial telangiectasias can enhance vessel clearance. The intense pulsed-light source has also been successful in the treatment of lower leg veins. Patients with matted telangiectasias, prominent veins below the ankle, or veins resistant to sclerotherapy are ideal candidates for laser treatment. Importantly, remember that you should avoid unnecessary sun exposure before, during, and after laser treatment because sun exposure may decrease the efficacy of the procedure and may contribute to adverse events such as postoperative pigmentation changes. We recommend SPF 50+ for our patients for a duration of at least 3 months post treatment. At Castleknock Cosmetic Clinic Dublin we even offer spf factor 100 for those who desire total protection. The cost of thread vein removal by laser depend on the extent and are treated. Facial region is treated either in combination with photofacial treatment or treatment to standalone vessels.